It was as a Junior in college, a classmate stopped by the apartment off campus and asked me if I wanted to go for a ride. It was a nice day and I took Dave up on his offer. I went out the back door and sitting there was a car I didn’t recognize, a white 1750 GTV Alfa Romeo. Dave headed down the 2 lane road by the river and then made a sharp left onto an access road to show me how much fun an Alfa could be. It made an impression. Two years later as luck would have it, my 2L, 5 speed Pinto was rear-ended xmas eve right in front of Grand Central Station. The car survived (the crash didn’t puncture the gas tank) but I was in need of a replacement. 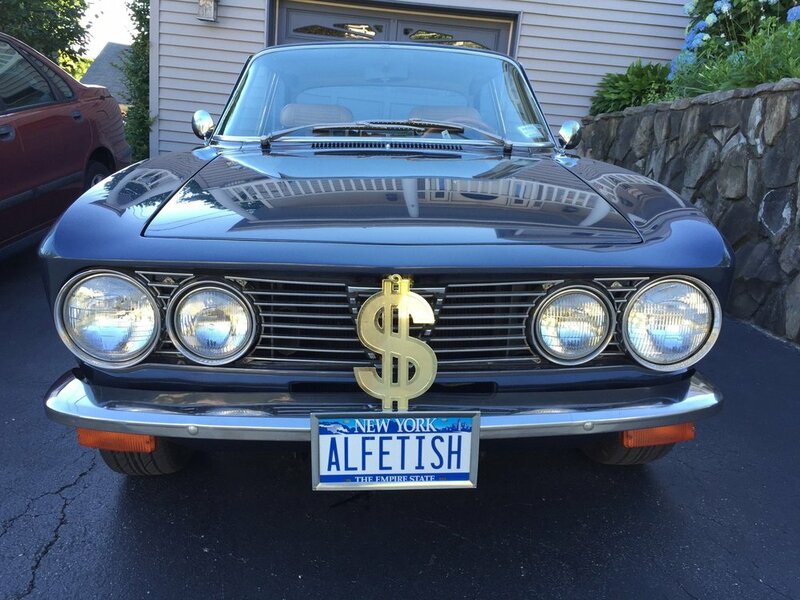 Friends from college were home for the holidays and as word spread, I got a call from one, his father’s partner had some kind of Alfa for sale! Well that was 1978 and George Pezold’s 1972 GTV 2000 became my second car, a daily driver. With a new head gasket, clutch and some TLC, she ran like a champ until 1986 when she took the winter off for a fairly complete restoration. By late spring I was putting her back together getting ready for our co-hosting of the National Convention in the Poconos. I took her to the track for some parade laps on Saturday and rinsed her off for the Concourso on Sunday where to my great surprise took first place in class! For the next 10 + years my “ALFETISH” only took to the road going to events and an occasional trip out of town. It was only till the paint took some hits and the fine detailing started to fade did I really start to drive her again. I missed out on many years of pushing her through the corners and running hard, the way they like to run. Tip of the day: Don’t over restore your car if you want to “drive" it any time soon! Being a part of AROC and a founding member of LIROC / NYAROC, I have thoroughly enjoyed the comradely of all the Alfisti who’s paths I have crossed for the last 40 years. They have been there to help and support in ways only another Alfa owner would understand. I look forward to actively  contributing to our club and promoting the Marque.